We have the right vehicle for you! 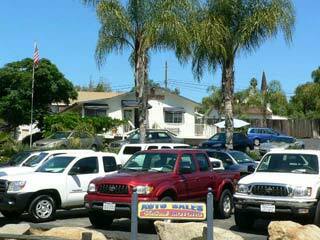 Fallbrook Motors is your friendly village auto buying center. We offer a quick and convenient auto purchasing service. We are proud to say that 70% of our customers are referrals or repeat customers, primarily because of our easy no haggling prices and our great service. Come in and experience it! Treat yourself to a test drive in one of our fine quality vehicles. If you don't find the vehicle you are looking for in our 75 vehicle inventory we will be happy to search for just the right car for you!! Family owned since 1999, Tim and Rosie, are always available to service your car buying needs. We are an A+ accredited BBB business, look us up! We offer discounted pricing on all NEW CARS & TRUCKS and pass the factory rebates and special factory financing on to you! Toyotas! Hondas! Hyundais! Jeeps! Chevrolets! ANY MAKE OR MODEL! Contact us today for huge savings $$$$$ Take delivery of your brand new car right here in Fallbrook. It's fast, easy and painless. You'll be pleasantly surprised with the new car buying experience at Fallbrook Motors! Each vehicle is hand selected by Tim Redmond, owner/operator, it then undergoes a certified safety inspection for reliability and performance. Then it's reconditioned to our high standards and priced well below current market value. Tim Redmond, owner of Fallbrook Motors has 33 years experience in the auto industry. Tim hand selects each vehicle and gets them front line ready. His goal is to provide reliable vehicles with unequaled customer satisfaction. More than 50% of our customers are return customers or referrals. Rosie Redmond, co-owner of Fallbrook Motors has more than 28 years in the auto financing business. She will exhaust every effort to secure financing at the most competitive rates, and keep the terms comfortable for any budget. 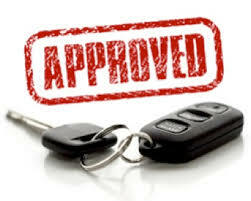 We provide financing on all our vehicles and will work with you to custom fit a finance program to meet your needs. We also offer extended warranties through a dependable national company that will make owning your used car or truck a pleasurable experience and provide peace of mind. We pass on the factory rebates and financing on all our new cars and trucks. Some as low as 0% a.p.r.! Fallbrook Motors has teamed up with Google Maps to provide you with door to door directions. Click on the map below to view a printable map as well as directions from your driveway to our door! Fallbrook Motors Service Center is open to serve our Fallbrook customer auto repair needs. Bring your vehicle in for a full service inspection and repair; Brakes, Transmissions, Engine Replacement or just a quality oil change. We offer a comfortable waiting room with WiFi and TV, clean premises and top notch mechanics. 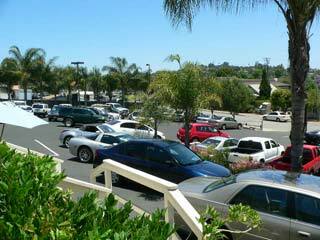 See what other car buyers have said about Fallbrook Motors. Have you recently visited Fallbrook Motors? We hope your experience with us was a positive one. We like to invite you to share your feedback with us. Your review will help others shape their decisions and help us improve out business. Fallbrook Motors takes pride in quality customer service... and because of that we believe in strong communication between our staff and our customers.